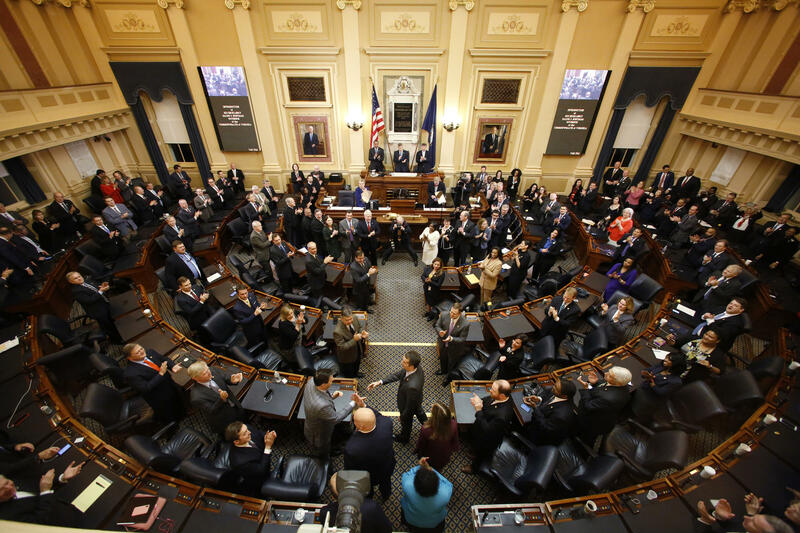 Some Virginia taxpayers may notice they owe more to the state this filing season. Lawmakers can't decide whether to spend it or give it back. Tax season is looming. It will be the first year taxpayers get the full picture of how Trump’s tax cuts affect them. But some families may be surprised by an unintended consequence: higher state income taxes. As Mallory Noe-Payne reports, it’s left lawmakers with a tough choice. Spend it, or give it back? That’s the choice state lawmakers have struggled with ever since they heard the federal tax cuts could lead to hundreds of millions of dollars in extra revenue. How does a tax cut result in extra revenue? Meet Rob Meyers. He’s a stay at home dad with two kids. His wife brings in about $100,000 year. They have a mortgage, student loan debt, and pay property taxes. They normally itemize their deductions, but one of the big benefits of the new tax cut is in the higher standard deduction. If the Meyers family opts to take it they’ll save about $800 this year. But in Virginia, like many other states, if you take the standard deduction at the federal level you have to take it at the state level. And it’s not nearly as high. “So our awesome $800 boon comes down to $300 once I factor in paying extra to the state,” Meyers explains, pulling up his returns from last year on his computer. $500 less for him. $500 more for Virginia. According to state officials, about a quarter of taxpayers will be impacted. Generally speaking, families that make between $100,000 and $150,000 are most likely to be hit. Especially those that tend to itemize because they own a home, have high medical bills, or are paying off student loans. Add it all up, along with some other impacts, and it’s a lot of extra revenue for the state. But for Meyers it’s a fluke. Not the result of deliberate policy making. Virginia Republicans agree. 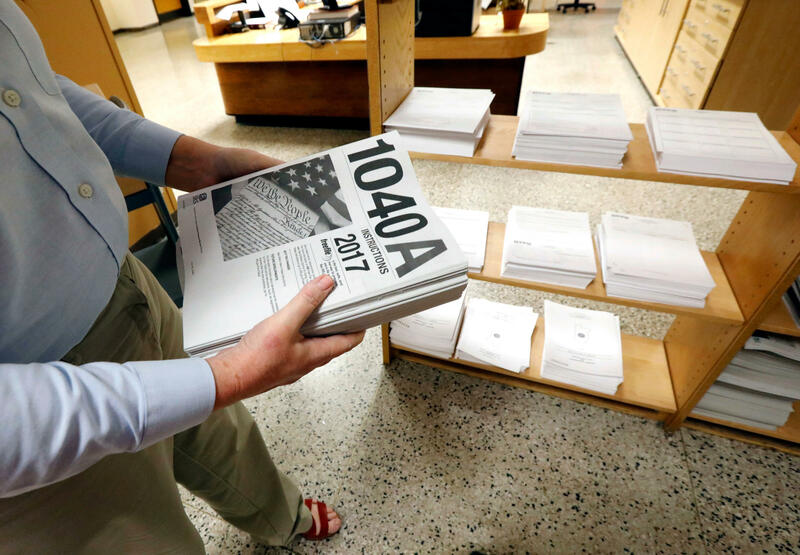 They want to raise the state standard deduction and allow people to itemize their state returns, regardless of how they file at the federal level. They’re billing the changes as tax relief to middle class families. I wish nobody had to pay taxes. But if we're to talk about bettering our society as a whole then some sacrifices have to be made. John Hicks, with the National Association of State Budget Officers, says that’s in line with what many others states have already done. But some states have taken the money and run. Louisiana filled a looming budget deficit. Kansas bolstered public education. Colorado has earmarked the money for improving roads. Hicks say the chance for revenue, without voting to raise taxes, doesn’t come along often for state legislatures. “This is a rare occasion. (1986) is the last time that something this substantial happened at the federal level that permitted states to make these choices," Hicks says. "So it’s been over a generation." Democrats say the extra revenue is an opportunity to address budget needs. Republicans say it's on the backs of taxpayers. State legislatures across the country have faced a similar decision. In Virginia, Democrats are ready to jump on that once in a lifetime opportunity. In addition to pay raises for teachers and expanding rural internet access, the Governor wants to return much of the money to lower income earners, who he says aren’t seeing as much benefit from the federal tax cuts. More than half of Virginia’s filers make below 50-thousand a year. “You know to be completely honest where I am now. There’s no room for savings,” says Sheba Williams, a barber who supports three children on about 30-thousand a year. Williams could stand to benefit under the Governor’s plan, and she thinks it’s a good one. Democrats say their proposal will have more impact on more people. Republicans say it relies on a sneaky tax raise. Whatever agreement they come to, they’ll have to do it fast. Filing season begins at the end of the month.